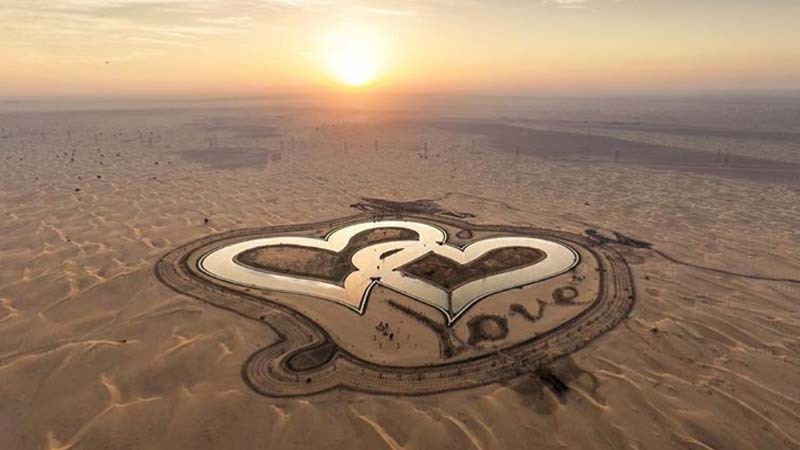 The ``lake of love`` in Dubai's Al Qudra Lakes. 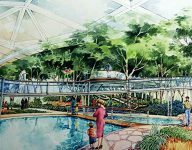 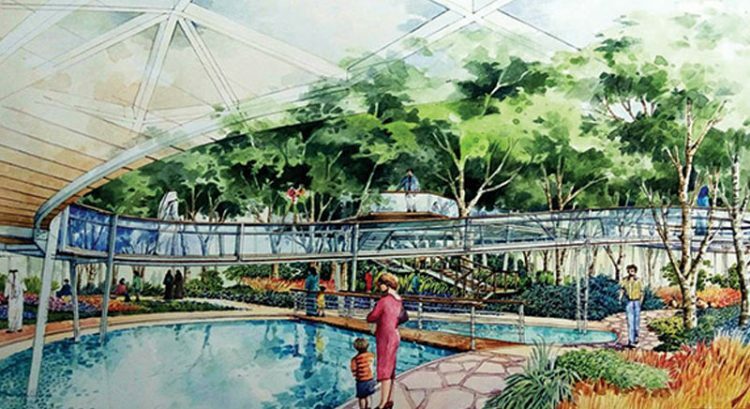 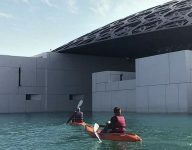 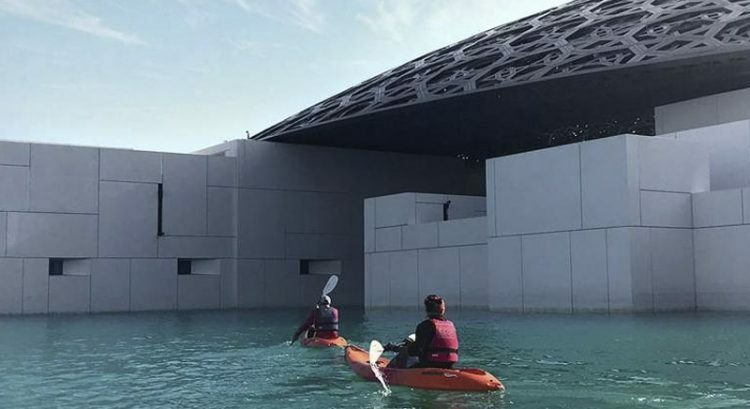 DUBAI – A “lake of love” that has taken shape in Dubai was recently unveiled by Sheikh Hamdan Bin Mohammed, Crown Prince of Dubai. 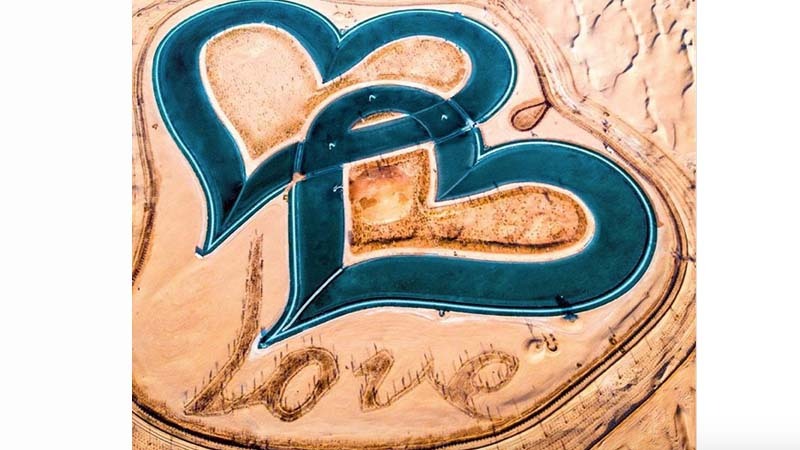 Sheikh Hamdan on Instagram posted a photo of the man-made lake that is shaped like two interlocking hearts. 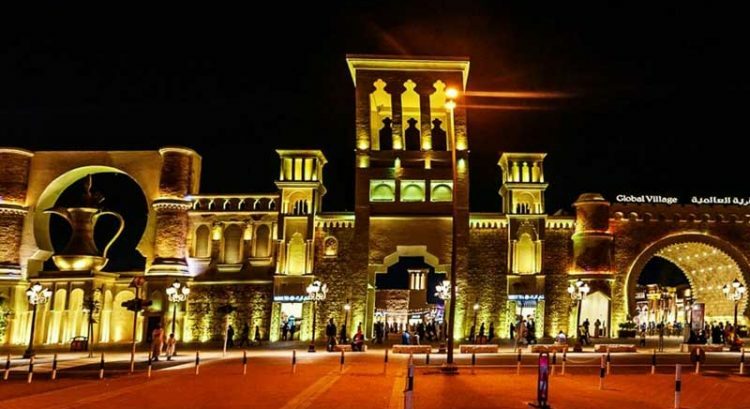 In his Instragram post, Sheikh Hamdan dedicated the new spectacle “to all of you”. 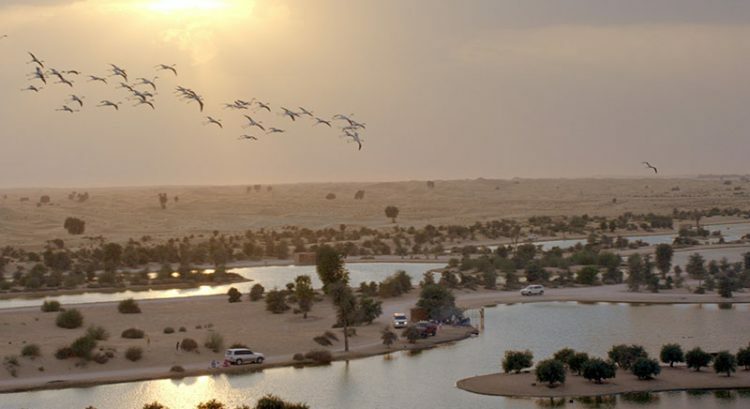 The new lake, which doesn’t yet have an official name, is located in Al Qudra Lakes and is also visible on Google Maps.